Some will tell you that comics just aren't what they used to be. They're right, but in the best way possible. They're more diverse than they've ever been, offered in formats that include the classic single issue, digital issue, softcover and hardcover collections, and experimental sizes (like the great Hip-Hop Family Tree, from Fantagraphics Books). Current titles span more genres than you could wrap your head around. New cultures and demographics have entered mainstream continuities, and women are (mostly) treated as sentient beings. So yes, comics have changed. And 2014 may be my favorite year in comics yet. It's a dark horse winner (but not from the Dark Horse Comics imprint). 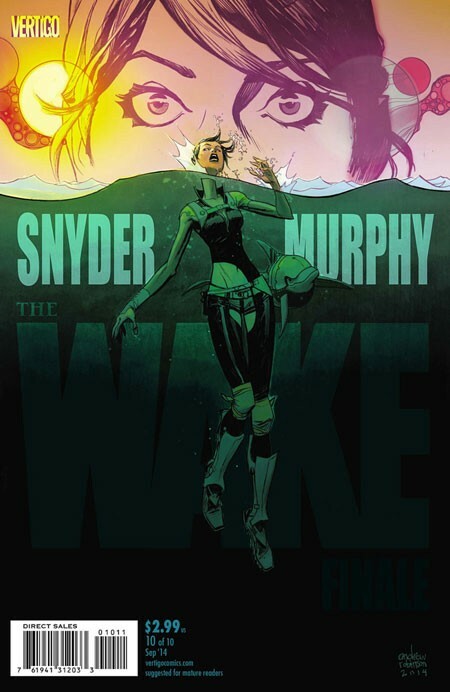 Scott Snyder did some exciting things with Batman this year, but his Image miniseries, The Wake, was special. The Critchton-esque thriller weaved in and out of hard sci-fi and abstract fantasy, from the beginning of creation to a harrowing future. For those easily freaked out by what the depths of the oceans hold, this was the scariest comic of the year. But no matter your phobia, this title is an example of why Snyder deserves to be at the helm of mainstream books. Dark Horse Comics knows how to milk a few bucks out of a name. 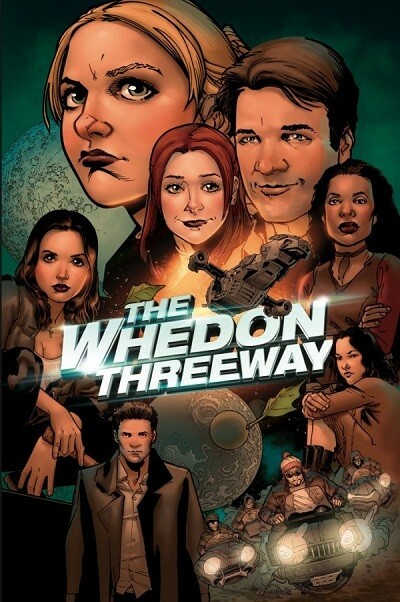 That’s why this week sees the release of The Whedon Three Way — three-comics-in-one for only a buck. The one-shot introduces readers to comic book incarnations of some of Joss Whedon’s best-known properties, including Buffy the Vampire Slayer, Angel & Faith, and Serenity: Leaves on the Wind. The collective creative team includes brother Zack Whedon, Christos Gage, Victor Gischler, Georges Jeanty, and more. Really, though, three comics for $1 is a pretty great deal. And you can’t argue with quality, either, as the Whedon fanbase continues to grow, despite his lack of involvement with the comic book medium (unless you count directing one of the biggest Marvel films of all time, and its sequel). So check it out, if you can spare the buck. 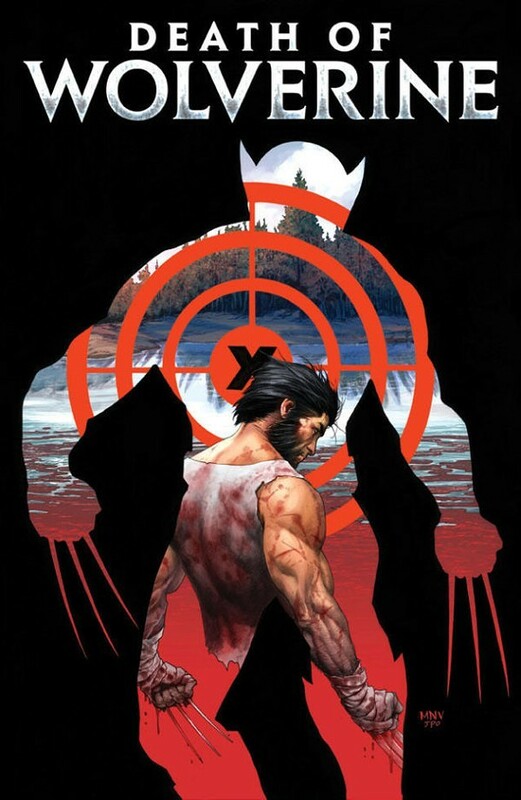 Otherwise, don’t miss the second installment of Death of Wolverine, which wowed us all with its first issue. See what else is out after the jump. And now, a goodbye. Unfortunately, in light of the recent purchase of Creative Loafing, my regular column must end due to budgetary changes. 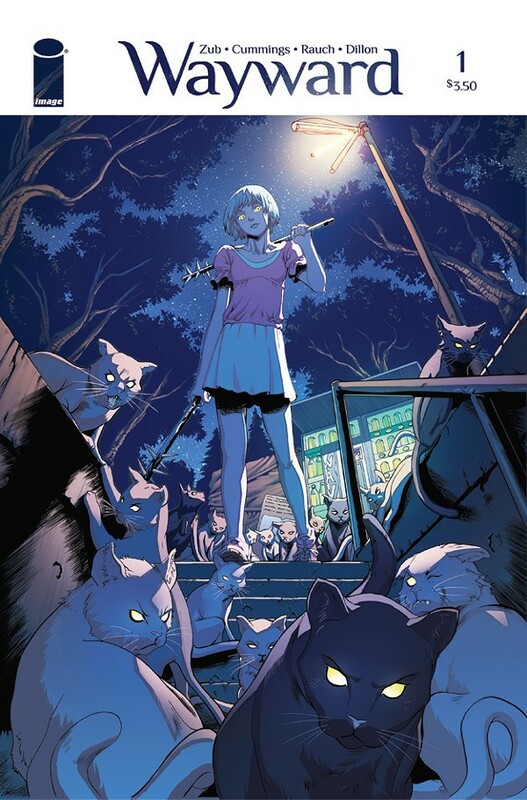 My wife and I moved to Charlotte in June 2013, and I started writing Comic Afterthoughts shortly after arriving here. Every week, it's been a privilege to talk comics and cover local events for this blog. And despite this news, I look forward to seeing (and debating with) you at area shops and conventions. For now, if you're still interested in my thoughts on new releases each week, you can check out my Twitter page. But expect the occasional photo of my dogs, too. I do plan to make the occasional reappearance in CL's print edition, but for now, I'll say, see ya around. Now, and I mean it this time, check out this week's line-up of new releases. See you Wednesday. This week saw the release of Death of Wolverine #1, the first installment in a limited series that puts the nail in the coffin for everyone’s favorite Canadian mutant. Comic Afterthoughts is marking the occasion by discussing our six favorite stories starring ol’ Logan — one for every claw. 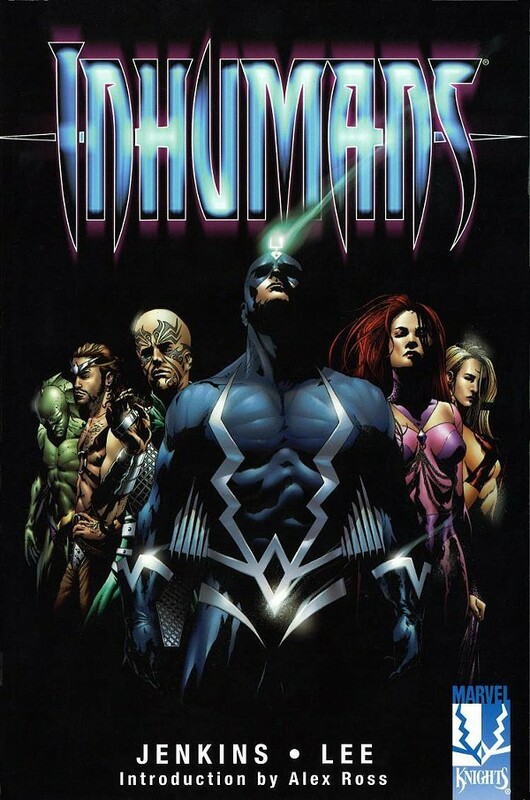 These stories span the timeline of both the character’s comic and publication history. Did we get it right? Or are we missing an obvious tale? Who knows; after this month’s series, we may have to add another to the list. For now, let’s take a look at the bloody and heroic trail that’s brought us here. Mark Millar’s blockbuster, 12-issue narrative begins with a familiar device, if you’re reading comics right now: the death of Wolvie. He’s resurrected and brainwashed by the professional ninjas of The Hand. He’s then used to steal plans from S.H.I.E.L.D. and kill all sorts of folks (even a fellow Canadian mutant). The reason this book makes the list? It’s printed proof that Wolverine stories can get as big as they are brutal. And Millar’s plotting is beautifully executed by artist John Romita Jr. The penciler can be polarizing in his trademark, loose style, but for the dozen of issues that comprises this tale, it works. It’s finally here. After months of promotion, the Death of Wolverine limited series has arrived with its first issue. The four-part, weekly series has the perfect set-up: self-contained, only a month long, but still sending shockwaves throughout the entire Marvel Universe. Now, it’s just up to writer Charles Soule and artists Steve McNiven and Jay Leisten to give him a fitting end. Holidays bring breaks from the daily work grind, new memories with the family, and for geeks, comic book deals at their local shops. Such was the case with Labor Day Weekend, when Heroes Aren’t Hard to Find once again broke out its $1 box offerings. In this column, we take a look at items found in local bargain bins. Here are a few gems I snagged when visiting the shop this weekend. What did you grab? Let us know. Back in the '80s, Marvel started the “Epic Comics” imprint, which provided creator-owned stories and side-tales with popular characters. 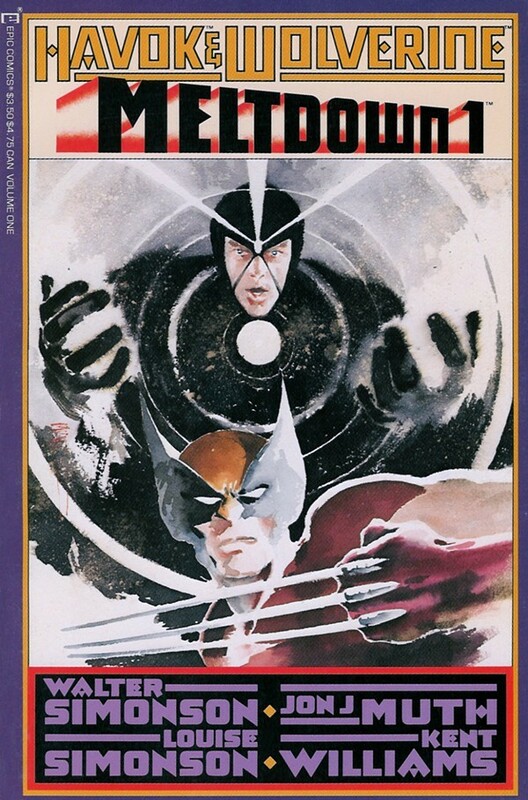 An unlikely pairing of Havok and Wolverine was the focus of 1988’s Meltdown, in which Wolvie must find his mutant friend. Walt Simonson is a celebrated scribe, but I picked this one up for the art. The way Jon J.Muth and Kent Williams split their art between the characters, using different media and styles, is both unprecedented and gorgeous. I had read a collected edition (which takes out Havok’s name in the title), but never encountered the original issues to the miniseries. 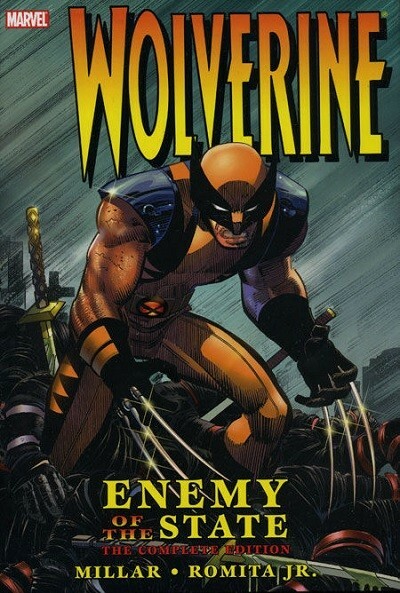 Recommended for folks who miss Wolvie’s ‘80s grit. Ed Brubaker and Sean Phillips made headlines when they signed a 5-year deal with Image Comics, which allows them to do pretty much anything they want. 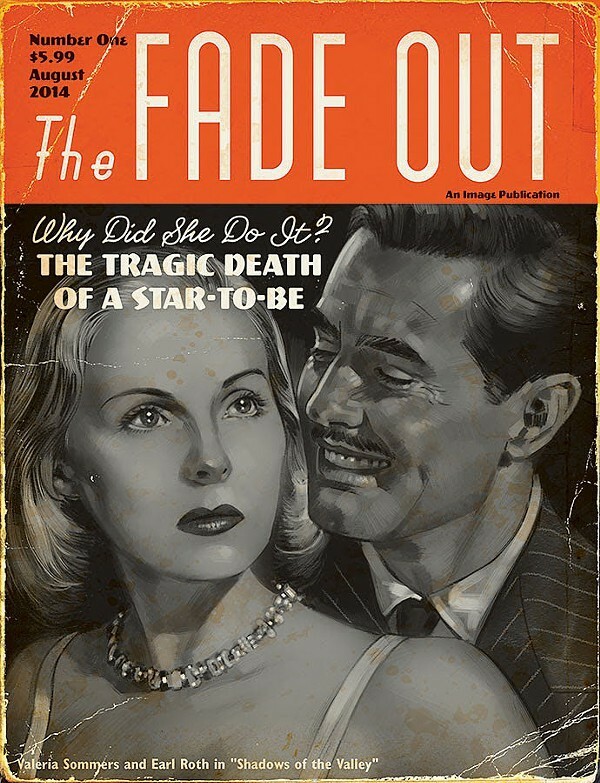 The first product from the deal is The Fade Out #1, and Brubaker called it his “ultimate noir story” in a recent interview. The issue hits shelves today. The Fade Out takes us back to Hollywood in the 1940s, weaving in and out of a murder mystery involving an up-and-coming actress. Brubaker maintains that the story stretches past the movie industry and into the lives of the wealthy and even a few years before the book’s present-day 1948, diving into wartime horrors. The first issue comes with 40 pages of content, with bonus articles included. If you want even more, an oversized variant with more articles and a behind-the-scenes view is included. The larger version is called the “movie magazine replica” edition. After taking a glance at the comic racks this week, you may not guess that Dark Horse Comics will soon stop producing Star Wars comics. As of 2015, the license returns to Marvel Comics, meaning the days of Dark Horse's take on that galaxy far, far away are numbered. Here’s the line-up of releases this week. The current title under the broad Star Wars label has been ongoing since 2013, this week’s #20 ends the series. Brian Wood’s writing has been hailed, and even though the Dark Horse books are being dropped as official canon for Disney, many fans say the book shouldn’t be ignored. 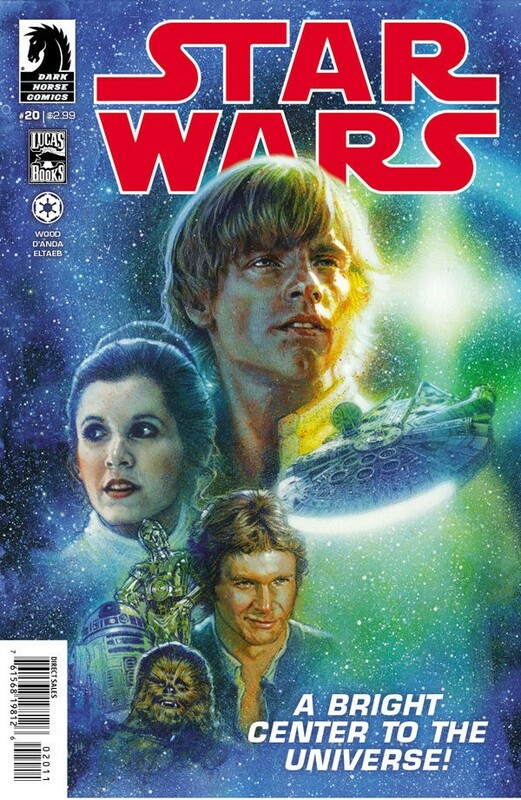 Even though Dark Horse’s Star Wars reign ends in December, the company decided to bring this comic to an early end. Also, look out for the Star Wars Legacy II Vol. 3 trade today, as well as the Star Wars Lucas Draft Deluxe Edition set. The latter is adapted from the original Lucas story, before many changes were made for the end product. The result is a fascinating, "what if" kind of deal. This week, the second issue of the new Tech Jacket series hits shelves. The Image book comes from the Robert Kirkman universe, but this tale is written by Joe Keatinge with art by Khary Randolph and Dave McCaig. For those who haven’t encountered the character in its previous incarnations, this book provides the perfect launchpad. Zack Thompson may seem like a bit of a loser. But the community college drop-out who lives with his parents is actually the only thing standing between our world and destruction. In the case of this current arc, a giant and mysterious ship known as the Colossal has entered our orbit. 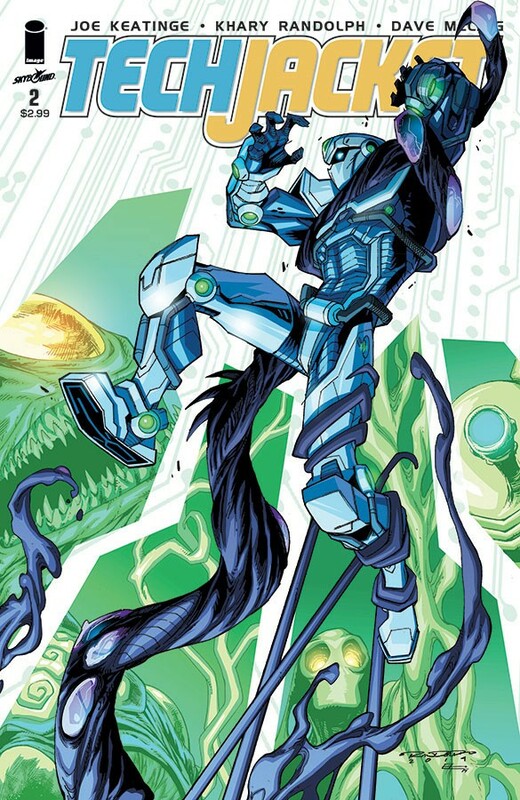 Keatinge has provided a fitting treatment for Tech Jacket — a fun, kinetic sci-fi story that toys with genre conventions. This makes it our Title You Can’t Miss for the week. Otherwise, there’s plenty of other action happening below.